Boomerocity is always excited when The Rolling Stones come out with something new. This holds especially true with their latest rockumentary/concert DVD, Totally Stripped. One of the most anticipated releases in recent years, this collection features The Rolling Stones going back to the source of many of their favorite tracks, creating new stripped back versions. Selected material from studio sessions and shows presented here formed the Stripped album of 1995. 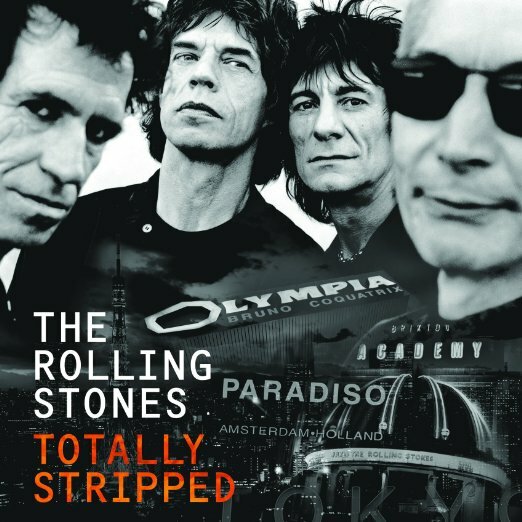 Totally Stripped is the release that the fans have been waiting years for, a document that reveals the inner workings not only of The Rolling Stones themselves but also indeed some of their most loved tracks. Revealing, intimate and moving, Totally Stripped is unmissable.